One has made its name tracking ocean yachtsmen, while the other has helped to save nearly 19,000 lives since 1982. Developed and operated by a network of international partners, the Argos and Sarsat systems* have evolved continuously to meet new user requirements. Today, a new generation of instruments is being readied for launch. Some 15,000 Argos transmitters are taking the pulse of the Earth and its atmosphere, acquiring temperature, pressure, humidity and sea level readings, and monitoring fishing fleets and tracking wildlife across the globe. For more than 20 years, the Argos data collection and location system has been supplying information to close on 1,000 scientific organizations and customers in 69 countries. Since the 1st Argos instrument was launched in 1978, the system has deployed a number of enhancements. With the launch of the Argos-3 instrument end June, it is set to take another major step forward. This new instrument will bring a downlink capability—previous generations only supported uplinking to satellites—to enable the satellite and transmitters to establish a real dialogue. Via this downlink, users will be able to send instructions to transmitters and reconfigure their settings, increase transmitter life span and uplink more data on each satellite pass. In addition to this prime innovation, the 3rd generation of Argos instruments will support new types of transmitters along with increased system capacity and data throughput, while retaining compatibility with existing transmitters. Argos-3 will fly on the MetOp-A satellite alongside its companion Sarsat-3 instrument. The Cospas-Sarsat search-and-rescue system has saved more than 18,800 lives since 1982 and handles some 1 million emergency beacons, installed mostly on aircraft and ships. The new generation of instruments will afford better detection and location performance, and will increase capacity. The 2 instruments have now been integrated on the European MetOp-A weather satellite. At EADS Astrium’s integration rooms in Toulouse, the satellite was subjected to a final series of tests run from Eumetsat’s control centre in Darmstadt, Germany, before leaving France for good. At the Baikonur Cosmodrome in Kazakhstan, the satellite will now begin the launch preparation campaign, undergoing functional tests on all the instruments in readiness for launch end June. MetOp-A is carrying the 1st flight models of Argos-3 and Sarsat-3, but each programme has 4 other instruments already being integrated for launch within the 2012 timeframe. In the meantime, users can look forward to improved services by year-end once the satellite has completed in-orbit commissioning. 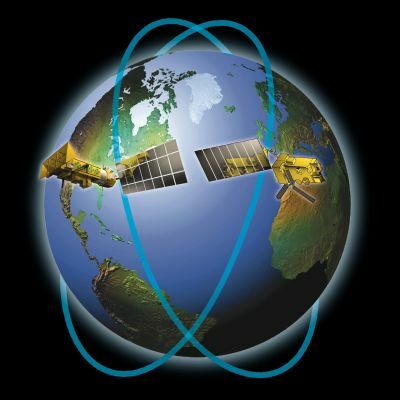 * Argos-3 and Sarsat-3 were developed by Thales S.A. and Alcatel Alenia Space under oversight from CNES, which is prime contractor for both systems.